In the East the Detroit Pistons are making some noise in right now with their 5 game winning streak, while in the West there’s a shocker up top as the LA Clippers hold the best record in the tougher conference. Fourteen teams out west are separated by just 5 games and it feels like the battle for Playoff positioning has never started earlier in an NBA season. 8 games won in a row – currently the longest in the NBA + a win over the defending champions Golden State Warriors in OT. What more can you ask for? The Toronto Raptors are clearly the best team in the league as we enter December. They have one of the deepest rosters in the entire league + the NBA’s second-best offense. Another undefeat week for the Philadelphia 76ers with all three wins coming at home. Jimmy Butler is improving with every game and is shooting a whopping 45% from behind the 3-point line since he joined from Minnesota. 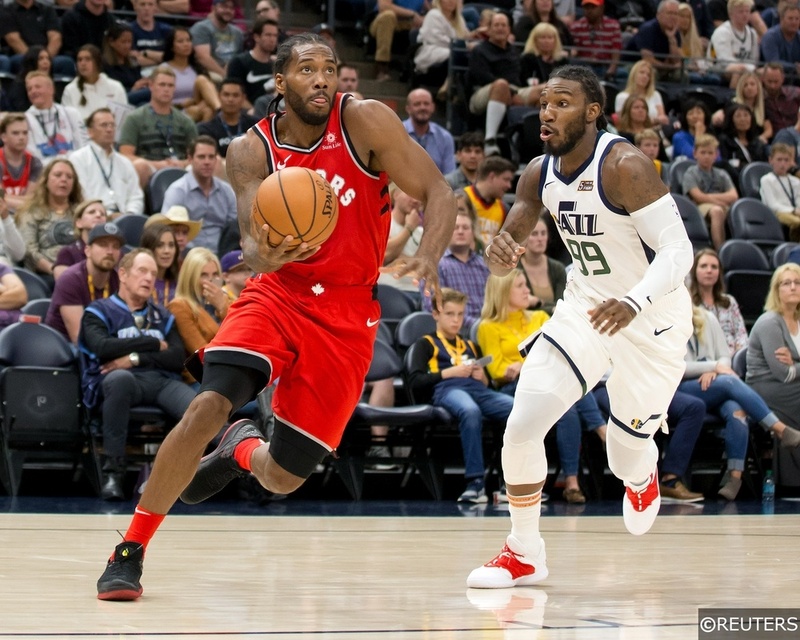 Philadelphia is facing a huge test this week as they head to Toronto for a big Eastern Conference rivalry game agains the Raptors on Wednesday night. The fairytale start to the season continues for the Clippers, people were questioning their ability to even make the Playoffs this season and yet at the start of December they sit at the top of the Western Conference. Montrezl Harrell. has been the biggest revelation so far this season averaging 16.5 points, 7.2 rebounds and 1.9 blocks per game. Paul George has carried the OKC Thunder on his shoulders ever since Russell Westbrook got injured. His averages of 25.2 PPG, 9.0 RPG, 4.6 APG have led the team to two wins this past week over not-so-impressive opponents in the Cleveland Cavaliers and Atlanta Hawks. Still, beating those two teams by a combined 32 points and winning the past 14 of 17 games is very impressive for the Thunder, who got Westbrook back, and continue their climb up the standings in the West. It wasn’t the best of weeks for the biggest surprise in the Eastern Conference. 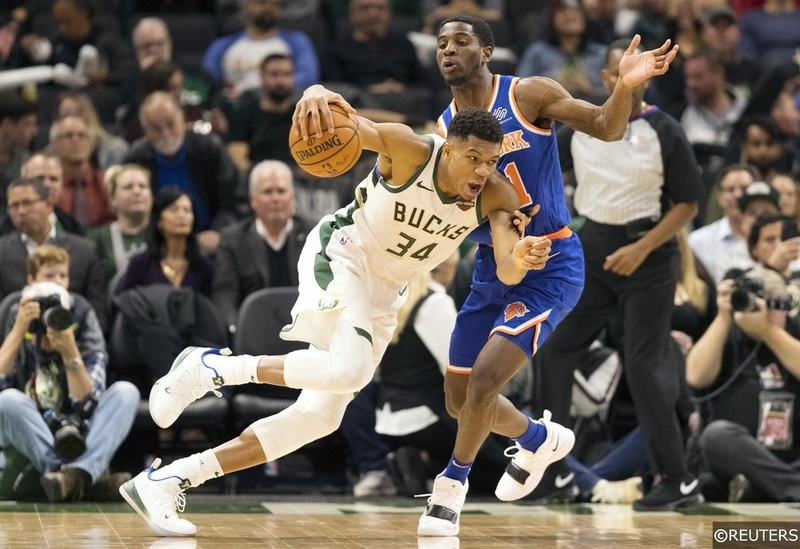 The Bucks suffered two unexpected losses at the hands of the Charlotte Hornets and New York Knicks. Against New York, they blew a 14 point lead in the 4th quarter, to lose in OT to the struggling Knicks. Still, there are some positives to take on, with Brogdon averaging 18 points per game and shooting 61.8% from three point land. 9 wins in their last 11 games and a 5 game winning streak has the Pistons in 4th position in the East. Although they have played one of the easiest schedules in the league so far, they did beat Golden State at home which adds to their impressive start to the new season. One stat that jumps out for them is their ability to defend the 3-point line as they hold teams to just 31% shooting from beyond the arc. Denver has continue it’s strong push at the start of the season with three wins against Western Conference rivals (Thunder, Lakers and Blazers). Their win streak is currently at five in a row, but they do hit the road and will face Eastern Conference teams Toronto, Orlando, Charlotte and Atlanta this week. It’s been a promising week for the Boston Celtics who have finally got the old Gordon Hayward back, well at least for one game as he scored 30 pts in 30 mins off the bench against Minnesota. Their offensive numbers are also up after moving him to the bench which could be a sign of the team finally waking up. Their talent level is well above the 6th position they currently sit in in the East. 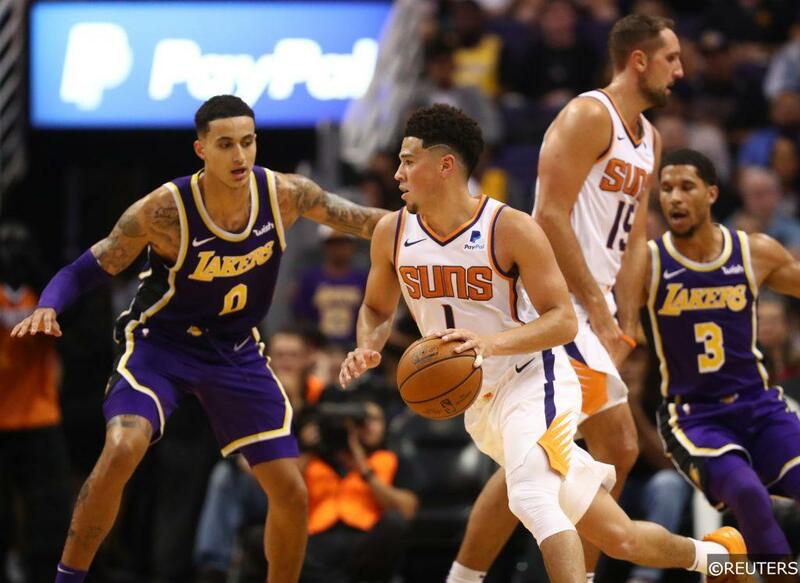 After getting over their early season chemistry issues, the LA Lakers look like a new team after they acquired Tyson Chandler from Phoenix. They’re now 7th in defensive efficiency on the season, but have posted the best defensive rating in the NBA over the last 6 games where they’ve won 4-2. Another losing week for the defending champions who have struggled with injuries in the first two months of the season. Luckily for them though, Stephen Curry is back and newly acquired center Demarcus Cousins could return to the line-up around Christmas time. During Curry’s absence Kevin Durant had to carry the load on the offensive end as he averaged 33.7 points per game. As always, we have daily NBA Predictions on our Free NBA Tips page. They are posted every single day around 5 pm, we highly recommend you bookmark that page so you don’t miss out on any future winners!